We are glad to let you know that ConnectyCube Android SDK 1.8.0 has beed released! removed getStatus(), now use isSubscriptionPending() instead. New SDK is available on our Github page. We are happy to introduce our ReactNative video chat code sample, which you can use with your applications as basis or example of correct logic. Code sample and basic instructions are available on our GitHub page. Feel free to check ConnectyCube React Native getting started and Video Chat API documentation to ease the development. Stay tuned! More features are coming! 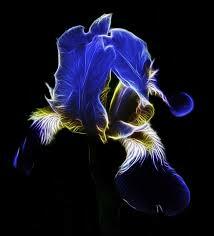 Privacy becomes very popular nowadays. People want to protect their private life and stay anonymous in many cases. In some chats people would like to stay incognito or apply any other filters to their faces just for fun. Wondering how it can be implemented? 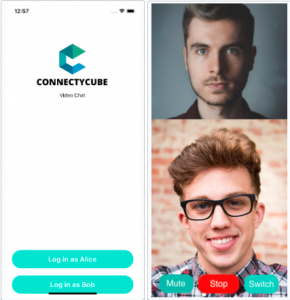 More info on ConnectyCube VideoChat API is here. All the above is implemented on a recipient’s side, so a sender has to notify the recipient that he/she enabled a mask on their side. You can set such notification via ConnectyCube System Messages API. The same flow is applied to iOS – ConnectyCube iOS SDK also provides an access to video frames via CMSampleBufferRef. Import OpenCV Module into your iOS project according to this guide. 2. Convert CMSampleBufferRef to cv::Mat: according to the suggestions here. 3. Detect face with openCV according to this guide. 4. 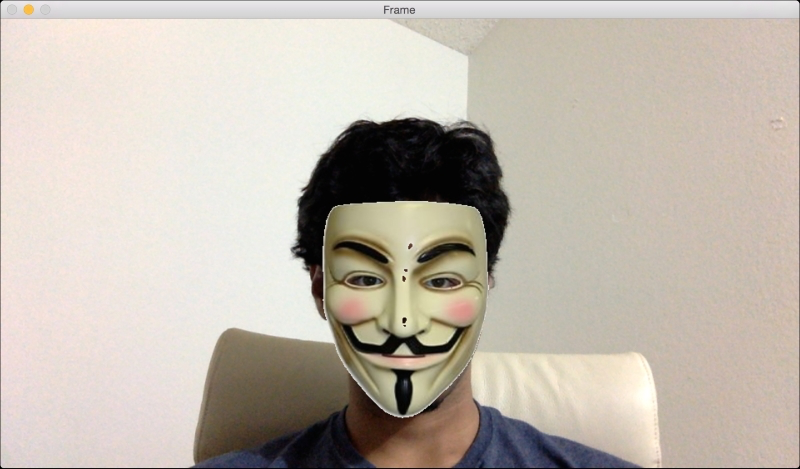 Apply a mask on face with OpenCV according to suggestions here. Feel free to integrate it with your application to extend your functionality list. Progressive Web Apps (PWA) become popular currently. Google Play supports Progressive Web Apps already. Apple iOS 12.2 brings more things for PWA support like a maintainable app state. ConnectyCube is also going to be a part of the solution and adjust its JS SDK to comply with PWA requirements. What does PWA mean anyway? It means that if you have a website which meets certain requirements, you can transform it easily to a mobile app. You can re-use your code and with minimal changes build an Android or iOS app from it. Users will not need to open a browser to access it. PWA can have an icon like native standalone apps do. Also if the user was previously logged in your application via browser on his device, upon installing the PWA app he should be logged in automatically. What does a Web app need to be a Progressive Web App? We are going to improve our JS SDK to meet PWA requirements.